Lindsey & Travis’ elegant Maplehurst Wedding is back on the blog today! In Part 1 we shared all the fun and beauty from the beginning of the day! Now, we know you’ve been dying to see what their ceremony & reception was like! Lindsey & Travis were blessed with pretty much PERFECT weather on their big day! Not too hot, not too cold, NO RAIN…and a few clouds (which we always love)! Lindsey & Travis included some really significant elements in their wedding ceremony. Travis’ Aunt Sue officiated the ceremony, which was held in the beautiful garden area. She shared all about Lindsey & Travis deep roots here in the Skagit Valley. Both of their families have been a big huge of the farming community in the valley, so it made sense to incorporate that into the wedding. The most unique element of their ceremony was when they branded a wooden sign with a special brand that Travis made just for the occasion!! We cannot tell you how much we LOVE that Travis & Lindsey dressed up the Maplehurst Barn!! The Champagne pintuck tablecloths throughout the ceremony space & sequin backdrop behind their head table were SO elegant! We loved all the little details! Instead of table numbers, each table had a small sign with one of Travis & Lindsey’s favorite songs, when that song played it was the table guests’ cue to join the line for dinner. Also…did we mention before that Lindsey & Travis had a BIG wedding, like 350 guests big!?! To accommodate that number of guests for the reception they chose to extend the Maplehurst Barn by tenting the entire area just outside the roll up doors. It’s no surprise that Lindsey & Travis had a party this big…with both families being local and so well loved, it just made sense to bring everyone together! But what made it really special was that besides celebrating these two becoming husband and wife, everyone was there to help send them off on a great new adventure. Just days after the wedding Lindsey & Travis pulled out of the Valley with their sweet pup June and all their belongings and moved to Missoula, Montana…just about one of our favorite places on earth (we might have to go visit them)!! To cap off the night Lindsey & Travis were sent off with an epic sparkler exit…which led them to their classic getaway car! Lindsey & Travis…your day could not have been more perfect! We loved being there to capture everything along the way! Enjoy every minute of beautiful Missoula, and don’t forget to let us know when you are back in town for a visit! Such a fun day!! Great job capturing all of those special moments!! They turned out sooo good! Such an amazing day!! Beautiful pictures that captured every detail. I don’t know how they are going to pick pictures. They are all so good! It was a beautiful day for a wonderful wedding for two special people ! Fabulous pictures, what a memory. Fabulous wedding. awesome pictures. A blessed day. Fabulous wedding, awesome pictures, blessed day. These are absolutely beautiful! It captures the many of the magical moments that day. Love all of them! It was such a wonderful day, made extra special by the attendance of family and friends. Love reliving it through these great photos! Beautiful wedding and the pictures detail every moment. Nice pictures, but that tractor picture was especially outstanding! What a beautiful, fun celebration of love! Beautiful photos of a beautiful day! Congrats! I’m not just saying this because I am in the photos, but these photos are next level amazing.  Thank you so much Mistry, Scott, and Dane for capturing our special day. Lovely photos and a beautiful wedding!! Beautiful pictures of Travis and Lindsey’s best day ever!! This was the perfect day. Wonderful job catching all the special moments! Wow really great pictures! Had such a fun day! Such a gorgeous wedding!! Love all the details captured for you to cherish forever! Lindsey you are stunning!! Wish I could have been there the pics are very nice. Such a fantastic time!!! The photos are beautiful!!! Such a beautiful day, wonderful setting, great food, music and company! Thank you so sharing some of the best days of your lives with us! Amazing pictures to capture it, too! What a beautiful day for a beautiful couple!! Love you guys! Blown away by how gorgeous all these turned out! These will be cherised forever!! These are great! What an awesome day!! Travis and Lindsey’s wedding was beautiful and we are so happy we were able to be a part of it! And the pictures turned out amazing! Such a special day and beautiful photos to always remember it! Love all these gorgeous photos! Such an amazing day!! Such a magical evening. These pictures are all beautiful illustrating the abundant love you have for one another. You are well loved. Absolutely stunning venue, bride/ groom and photos!! Love love! Congratulations Travis and Lindsey!! Love all the photos the fire work pictures turned out great! A perfect exit to a perfect day! Amazing pictures! Captured the day perfectly. Love these! What a beautiful day! So wish we could have made it! Thanks for sharing! Beautiful wedding! Lots of love! These pictures are just amazing! However will you choose? I 💖 the sparkler ones. I so wish we could have made it! Enjoy your time in Missoula! And Congratulations!